THIS IS NOT BART 2011 via flickr user adamanimation. Thanks again internet! Yep, THIS IS NOT BART is over for 2011. If you missed it, it was really really great! Here is a collection of impressive journalism in case you missed it. Here is a nice bit by Amy Edwards in the Herald. It was also online here. And here is another! The photo is a bit weird, where is Sarah? Oh here she is, profiled in the Newcastle Post. We also had a great big chat with Jill Emberson on ABC 1233 radio. I don't think you can hear it online but it was really fun and nice. And then Maynard from ABC Radio came for a visit. look! 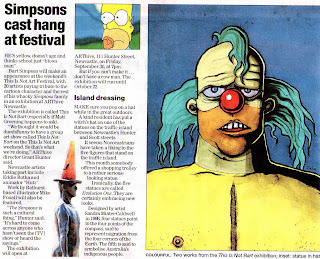 Thanks Newcastle Herald, Newcastle Post, and ABC Radio! Thanks to all the artists for contributing their work, everybody who came to the show, especially those who bought something, all the ARThive volunteers for keeping the gallery open, Renew Newcastle for everything, Todd Johnston at Newcastle Response Services, The guys from Bizoo Zine, and 20th Century Fox for not suing us. We would also like to thank the following Simpsons fansites for their coverage of the event, dead homer society, and rubbercat.net/simpsons/ thanks for all the web traffic dudes. FYI We had so much fun that THIS IS NOT BART will return again next year. 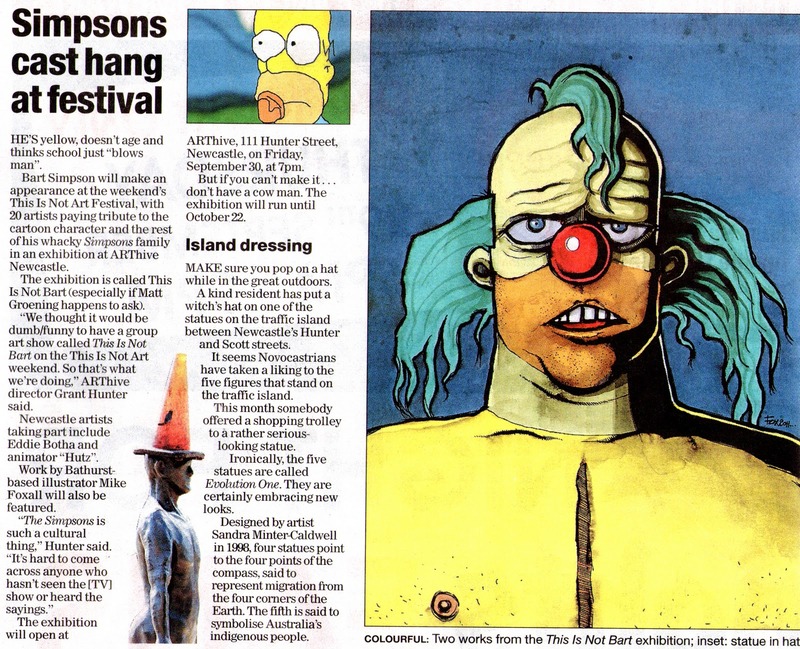 Artists keen to participate should probably start making work now! or soon! Sarah Mould in the newspaper! 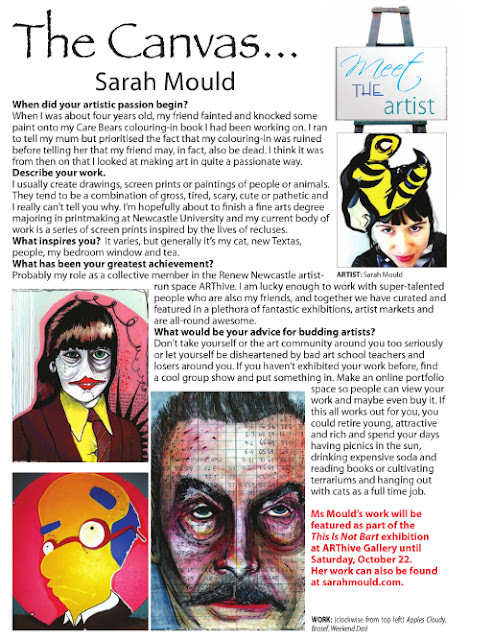 Sarah Mould is featured in the October 19 2011 edition of the Newcastle Post.